Christmas is coming up, and if you’re like me and looking for some nice deals on stocking stuffers that won’t break the bank, I have just the thing for you! 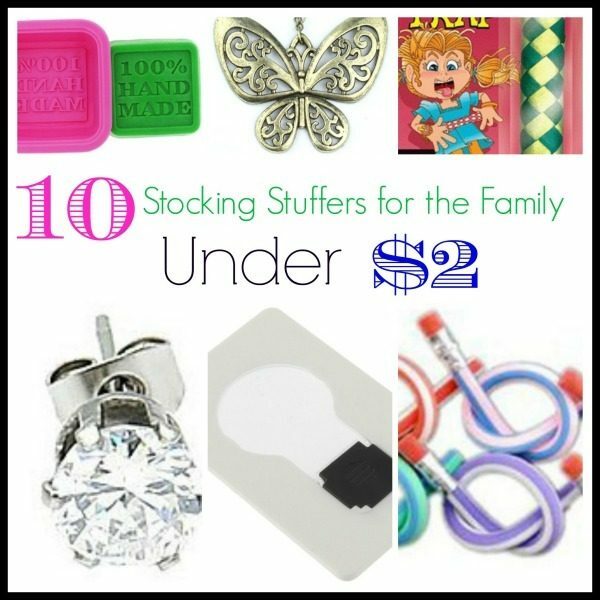 We have a list of 10 Stocking Stuffers for the Whole Family Under $2! USB2.0 Memory Card Reader Writer for MicroSD Micro SD T-Flash TF Card – $1.40 + FREE shipping! 11 Function Credit Card Size Survival Pocket Tool – $1.55 + FREE shipping! Retro Bronze Butterfly Necklace – $1.56 + FREE shipping! Silver Crystal Stud Earrings – $1.59 + FREE shipping! Portable Pocket LED Card Light – $1.72 + FREE shipping! Handmade Soap Molds – $1.75 + FREE shipping! Chinese Finger Traps – $1.83 + FREE shipping! Glow in the Dark Loom Bands (600 ct.) – $1.89 + FREE shipping! Egg White Separator – $1.89 + FREE shipping! Colorful Magic Flexible Bendy Soft Pencil for Kids (3 ct.) – $1.93 + FREE shipping!